The PADI IDC here in the Gili Islands offers the ten days PADI Instructor Development Course in 10 days, with an additional 4 days pre IDC preparation. 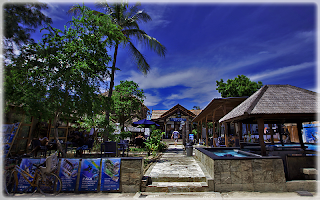 We operate alongside two of the most established PADI 5 Star IDC centers in the Gili Islands, one of which being the only PADI Career Development Centers in the entire Lombok and Gili region. The current course is priced at 950 Euro and includes the EFRI course. Of course Instructor Specialties can be purchased at an additional cost as can the MSDT preparation package. However over the course of 2014 we are aiming to offer a range of PADI career packages that will help to enhance candidate’s prospects. Working in conjunction with our 5 dive centers across the Gili Islands and our exclusive Komodo livaboard, we will be aiming to develop a series of career enhancing packages including a team teaching certification internship program, allowing PADI Instructors to gain real life experiences whilst building up and acceptable number of student certifications. Of course this can be done in conjunction with a variety of technical diving options, or combined with first-hand experience on board our Komodo livaboard diving some of the best and most challenging conditions available in the world. Of course these options will not be implemented immediately, as we wish to provide the most beneficial packages for the instructors as possible allowing them to develop the best possible career prospects. However we are fully able to implement a program of this type and for the moment will be offering our combination courses on a strictly personal basis, so if it sound like something you may be interested in contact our PADI Course Director to discuss your personal career option. We will also be raising the cost of our IDC program during the course of 2014 to reflect the high level of quality and the experience of our PADI Course Director, but we will also be including a range of specialty options aimed at developing your career potential. If you are interested in our current PADI Career training check out our PADI IDC Indonesia Facebook Page and see past and present candidates in action. If you want so see an actual course being carried out we also have the PADI IDC Indonesia video available on YouTube. Or check out our PADI Professionals website for more information on our range of professional courses.